Mohali has seen high demand for residential and commercial properties in recent years. People from all walks of life are looking to settle here and are in search of high-end properties in the city. With attractive designs and constructions, many leading groups in real-estate have developed their projects. Zirakpur, one of the prime locations in Mohali is well-connected to all major landmarks and highways of the city, that’s why a large number of skyscrapers are being developed here. 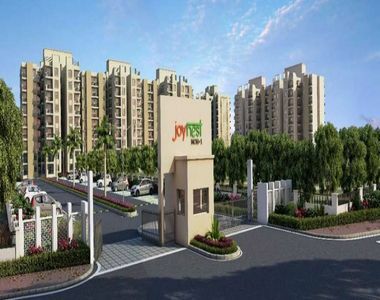 With an aim to provide all modern age amenities, Sushma Buildtech Limited, a reputed real-estate group has developed its latest project at Zirakpur, named Joynest Moh 1 having apartments which are meticulously designed with unbound convenience and the best of amenities. The township offers an effortless blend of modernity and elegance to the residents. The size of the apartments ranges from 1080 sq. ft to 1340 sq. ft and the project spans over a wide area of 13 acres of land full of landscaped gardens and beautiful green surroundings everywhere. 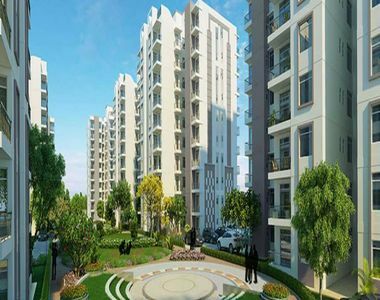 Sushma Buildtech Limited is a well-renowned name in a real-estate sector which has set new trends of architectural finesse in the contemporary global scenario touching the horizons of excellence. The group has developed numerous residential and commercial projects among various locations in India. Their projects offer perfect examples of excellence and supremacy. The developed have bagged many awards for excellence in their development. The apartments at Joynest Moh 1 Zirakpur are meticulously designed with unbound convenience and the best of amenities. A variety of lavish and 'thought-after' amenities are offered to the residents of this township including swimming pool, clubhouse, community hall, kids’ play area, indoor games facility, separate courts for basketball, tennis and badminton, aerobics, gymnasium and many more. The township is well connected with schools, hospitals like Medanta, Max and Fortis, shopping malls and tech parks etc. The residents of this township are benefitted with every modern age facilities like car parking, convenience store, dedicated lifts, grocery store, 24/7 water supply, and electricity back-up etc. The apartments at this township can be owned by you for Rs. 30.24 lakhs and the price may go up to Rs. 37.52 lakhs, depending on the amenities offered. Attractive home loan facilities are available for the property seekers in this township. One can repay the loan in easy installments of 10, 15 or more years.